On the night of 2nd August 1944 the Nazis murdered 2900 Romany people in the Auschwitz-Birkenau death camp, in majority sick, elderly people, women and children. 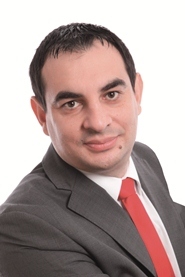 In honour of the victims 2nd August was declared International Day of Remembrance of the Romany Holocaust. 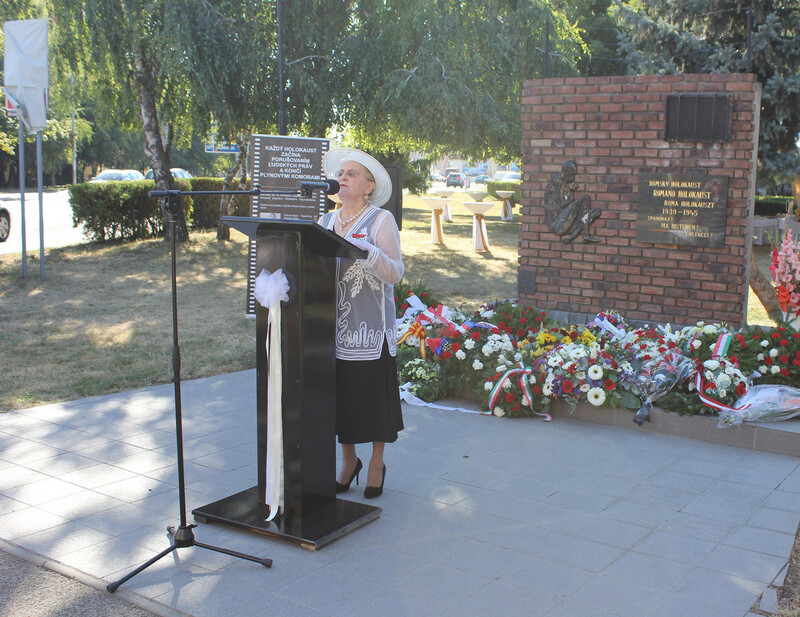 On the 2nd August 2013 the national Romany holocaust commemoration was already held the eighth time in Dunaszerdahely, under the organisation of Dr. József Ravasz Ph.D. - Director of the Romology Research Institute. 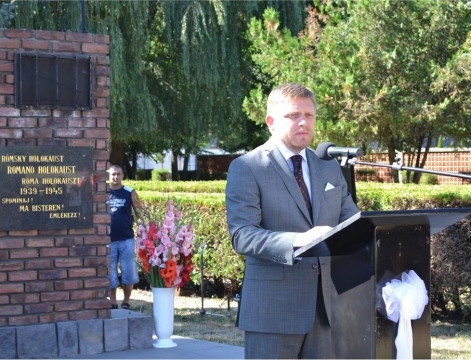 This year's ceremony was honoured with the attendance of Robert Fico – Prime Minister of the Slovak Republic, who said in his speech that less than a decade ago the memory of the Romany Holocaust was covered in dust. He emphasized that “The search for historical truth should never end, our duty is to remember what must not happen again”. 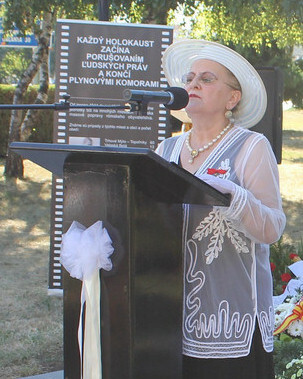 The prime minister thanked the chief organiser – Dr. József Ravasz docent, and the Sárközy brothers from Dénesd /Dunajská Lužna/, who constructed and set up a national Romany Holocaust memorial in Dunaszerdahely in 2006. During the commemoration Peter Pollák, Government Commissioner on Romany Affairs of Slovakia, pointed out in his speech that expressions of hatred against the Romany people have still not disappeared, steps and actions must be taken to ensure that the Romany and the majority community live not next to each other, but with each other in the future. 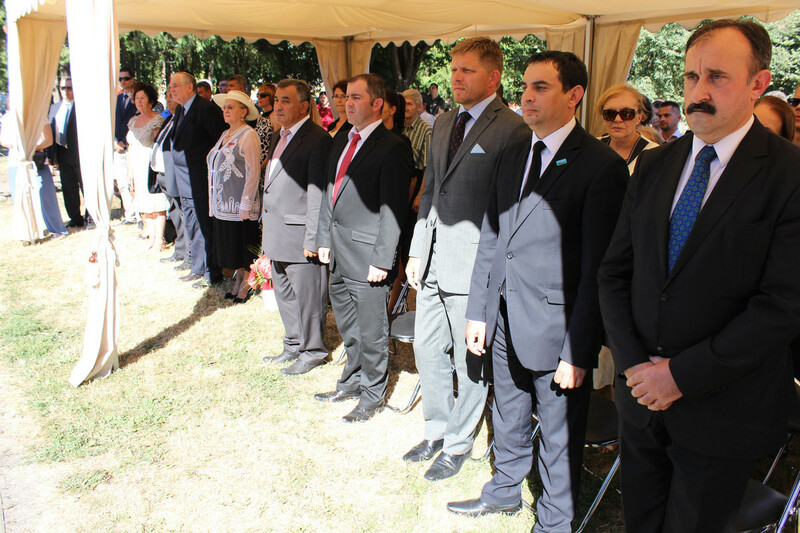 Representatives of the Embassies of Austria, the United States of America, the United Kingdom, France, Poland, Slovakia, Hungary and Germany – accredited in Slovakia, as well as leaders of other institutions and Romany activists were present at the commemoration. Furthermore Mr. László A. Szabó – Deputy Mayor of Dunaszerdahely, Mr. Richard Kmeť – prefect of the Regional Office, Mr. József Berényi – Chairman of the Hungarian Community Party, Member of Parliament for the Most-Híd Party, and mayors of numerous municipalities of the district were also present at the event. 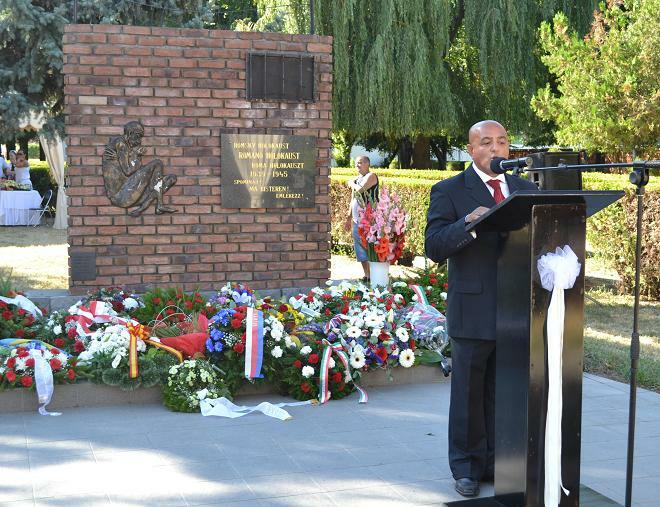 According to traditions, the closing speech of the remembrance was held again by Prof. Dr. Pavol Mešťan PhD, Director of the Bratislava Jewish Holocaust Memorial Museum. „Never shall I forget that night, the first night in camp, which has turned my life into one long night, seven times cursed and seven times sealed. Never shall I forget those moments which murdered my God and my soul and turned my dreams to dust. 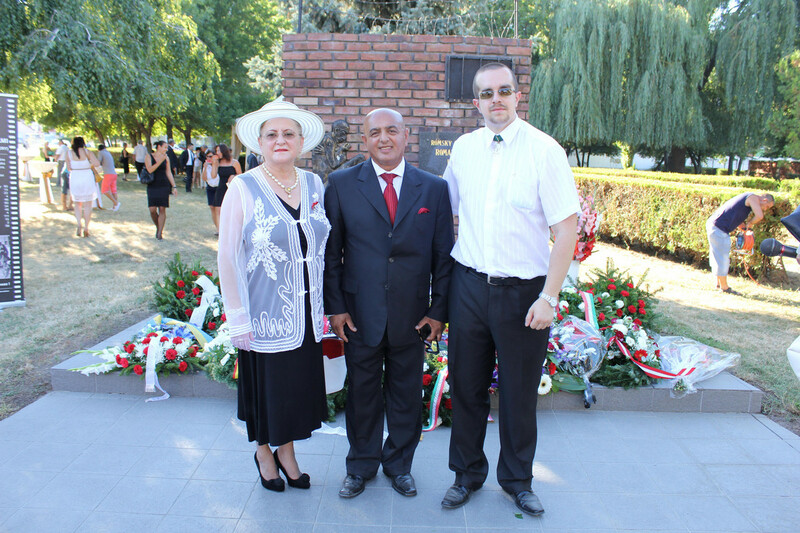 The photos were taken by Zoltán Takács – Knight of the Ordo Hungariae – who attended the ceremony.